Travelling between the three cities of Gdańsk, Gdynia and Sopot is a cinch, and best done using the SKM kolejka (commuter train). Trains run more or less every 10-15 minutes between 05:00-19:00 through the Tri-city and less frequently outside of these hours with trains also running occasionally between 24:00 and 04:00. Tickets can be bought from modern ticket machines which can be found on most platforms and have instructions in English and a couple of other languages. Alternatively you can buy tickets in main stations where you see the sign for Kasa Biletowa or as a last resort from the conductor at the front of the train. If you buy tickets from the Kasa Biletowa make sure that you stamp them with the time in the bright yellow boxes on or close to the platform to validate them. Ticket prices are dependent on the number of stops you are travelling but a journey from Gdynia to Gdańsk will cost 6.50zł and take about 35 minutes (Sopot will cost 4.20zł and take about 15 minutes from Gdynia). Bikes travel for free and should be carried in a specially marked carriage usually at one end of the train. Children under 4 travel for free although you also have to buy a 0zł ticket (we kid you not) and you are likely to be requested to provide proof of the child‘s age so basically keep passports on you at all times. ISIC cards will get you a student discount but only if you're a Polish student, and Euro 26 cards are not valid and you will have to pay a fine if caught travelling without a validated ticket. Trolleybuses, trams and ordinary buses (ZKM/ZTM) can also zip you around the relevant cities. Tickets are issued by Gdańsk and Gdynia. 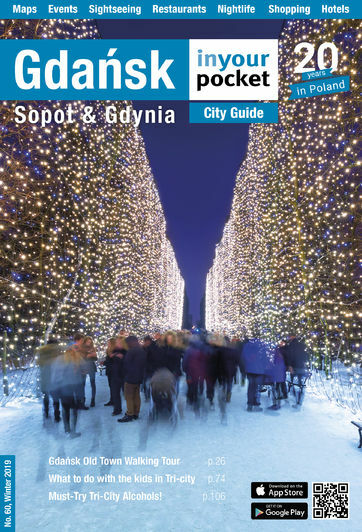 Gdańsk tickets allow you to travel in Gdańsk (and Sopot) and Gdynia tickets allow you to travel in Gdynia (and Sopot). If buying a ticket in Sopot you will need to buy a ticket for the direction you are heading i.e. Gdańsk or Gdynia.